We had a crazy week in Orlando, a lot of ups and downs. Some of the downs were Dan getting a bad cold, I got food poisoning, got my credit card number stolen and charged up, left my purse at a hotel and the staff wouldn’t let me go back and get it (more on that later! ), and temperamental weather we weren’t quite dressed accordingly for. But on to the good stuff! We were there to run! 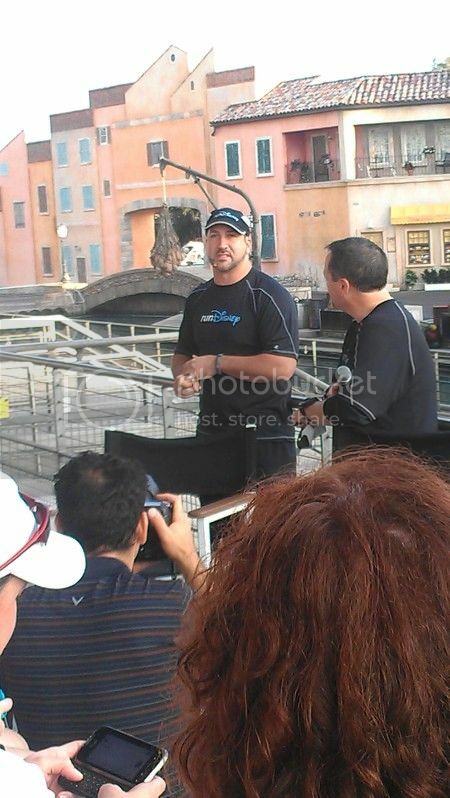 First up was a trip to Disney’s Wide World of Sports for packet pickup. We got our numbers and race shirts, and then just wandered around the expo. 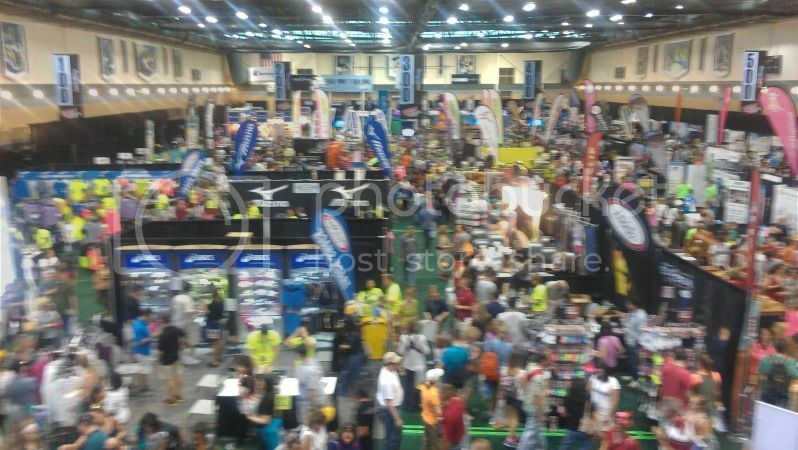 I love a good runner’s expo! 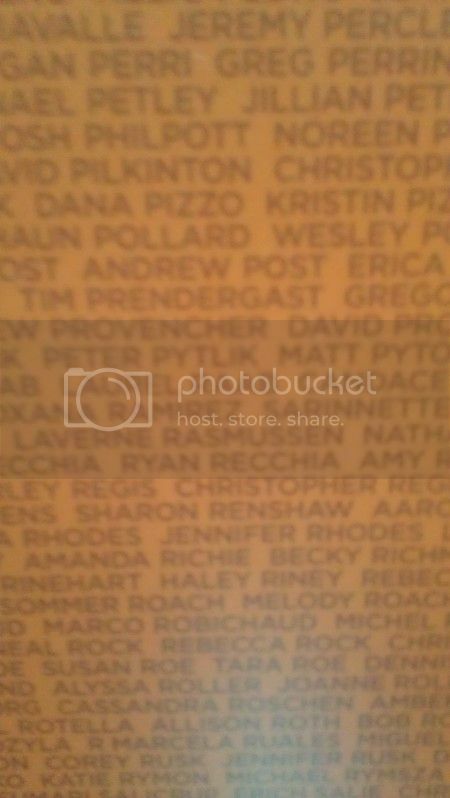 They had a huge wall with all the marathon runners’ names on it. Found mine! 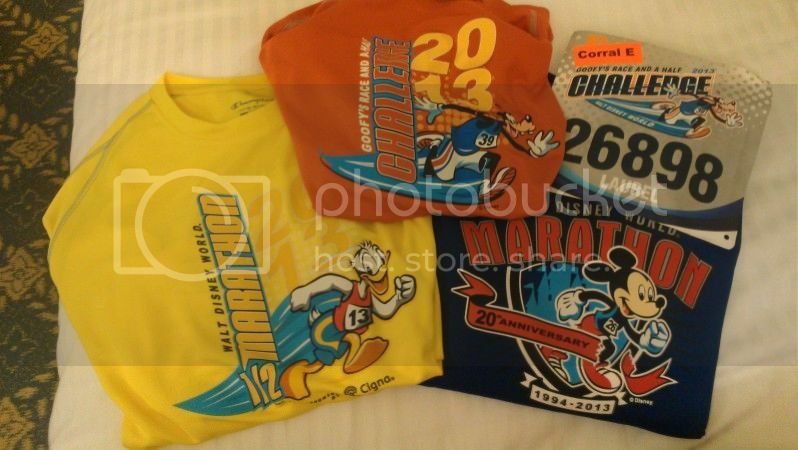 My bib and cute race shirts! 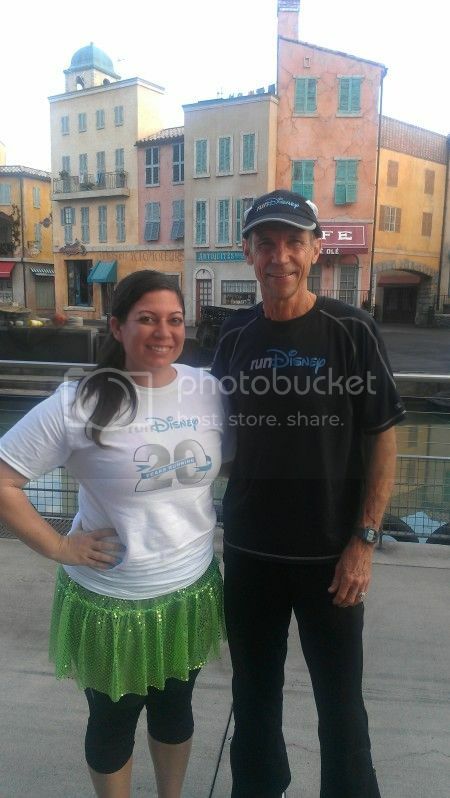 The following morning, we were up early for a special opportunity to attend an official RunDisney meetup! These meetups are announced on the Disney Parks blog, but you don’t know when. One they post you send in an email, and they take the first responders, in this case 100 people. I stalked this web site for 2 days and Dan and I got in! We got a private run through Disney’s Hollywood Studios (formerly known as MGM Studios), then listened to a panel of speakers. 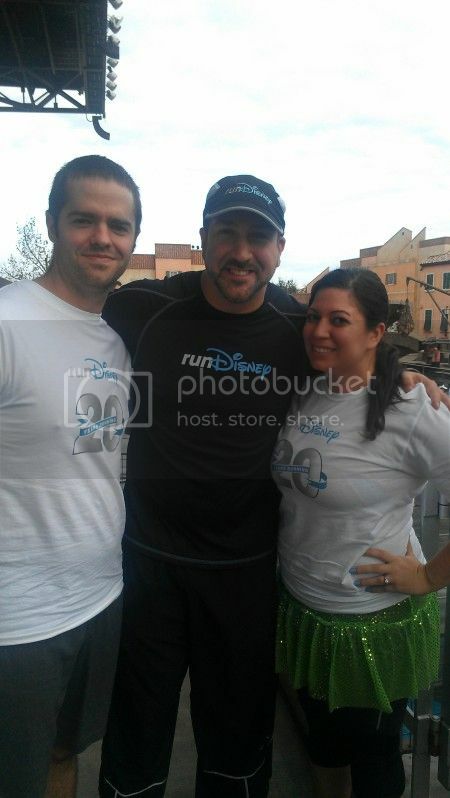 First up: Joey Fatone of NSYNC! We spent the day enjoying EPCOT and called it an early night. 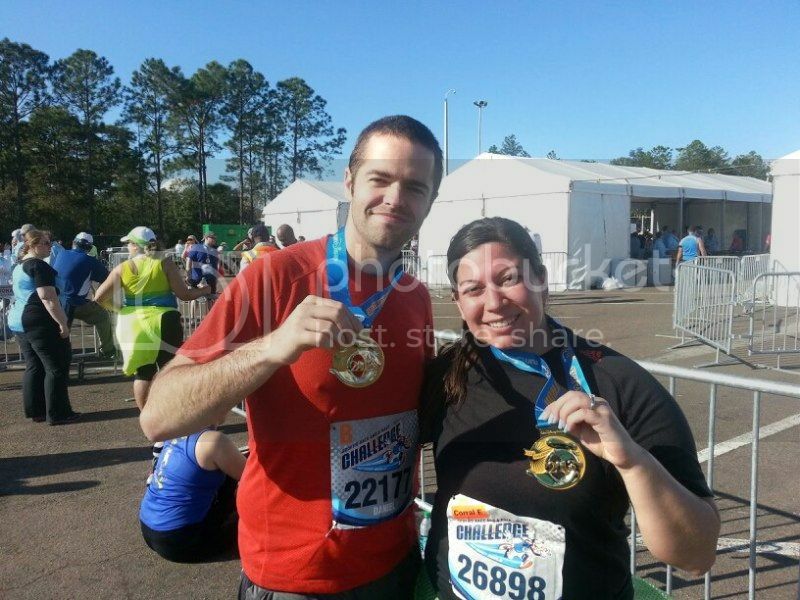 The next day we had the half marathon, and then Sunday the full! We spent the rest of the weekend relaxing at the pool at our hotel, the Boardwalk! 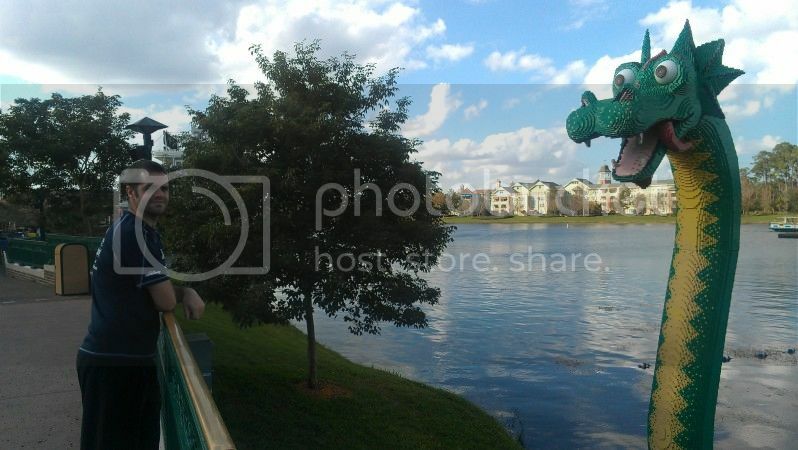 Dan at Downtown Disney with one of my favorites, Brickley the Lego loch ness monster! 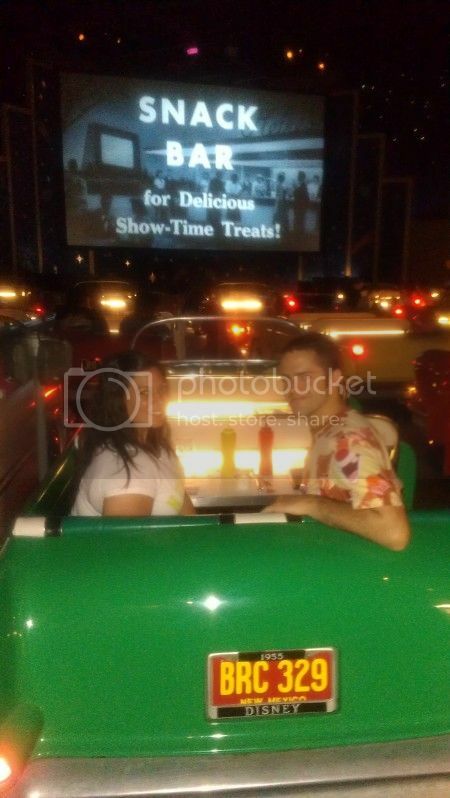 A fun lunch at Hollywood Studios, the Sci Fi 50′s drive in diner! All in all a great trip to Florida, and as usual we kept finding reasons to consider the Orlando area next time we relocate. 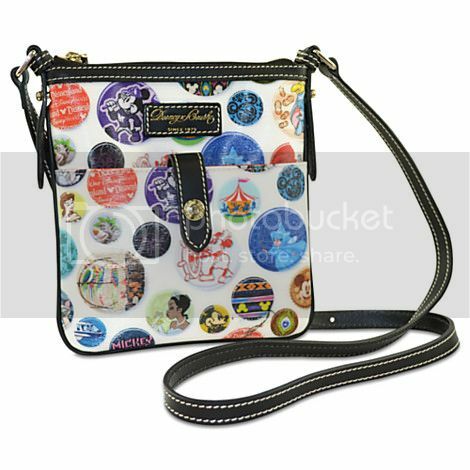 2 years ago Dan bought me a beautiful Dooney & Bourke wristlet that commemorated the 40th anniversary of Walt Disney World. 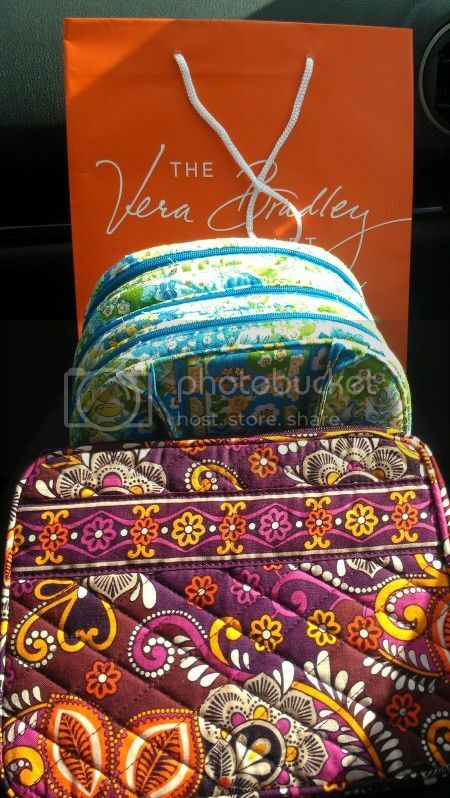 It became an instant favorite! 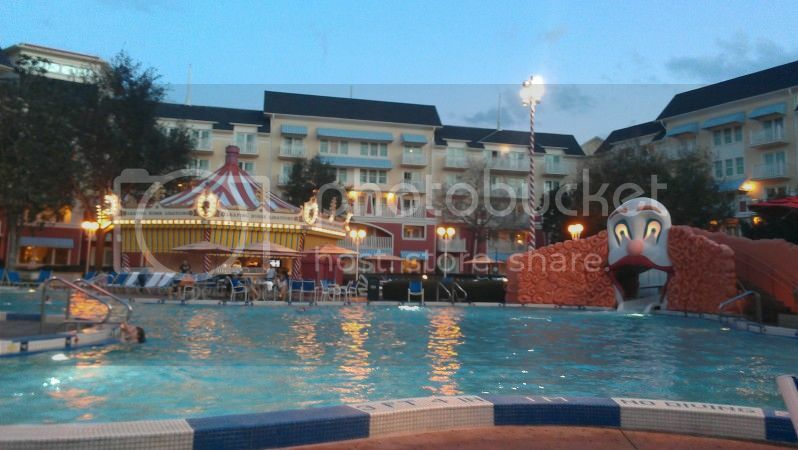 We divided our Florida trip between 2 resorts, the Boardwalk and Port Orleans French Quarter. 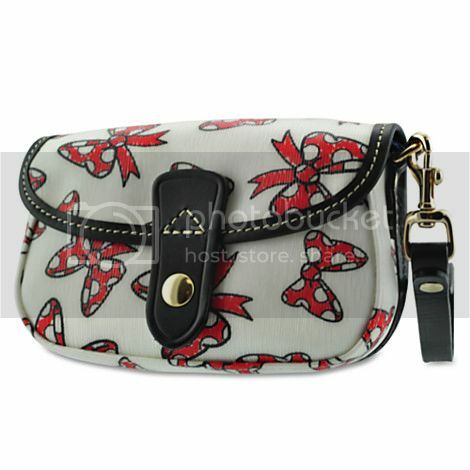 Once at French Quarter I realized I no longer had my wristlet! I called the hotel and they said they would have someone check the room, got my phone number and hung up. 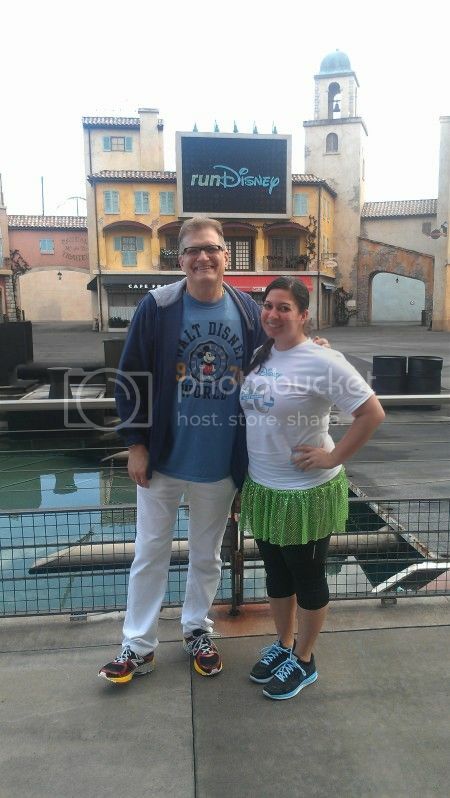 I was feeling a little antsy about it, so Dan said we could just drive over since it was close and ask in person. Once there we were told the room was now being occupied and they couldn’t just knock on the door and ask. The worst part was I knew exactly where I’d left it, it must have slipped out of my travel bag in the closet, out of sight. But no one would help us or ask the current guests if it was there! The room was checked 3 weeks later, and no one had seen it. I’m not surprised They are currently selling on eBay for about 4 times as much as Dan paid originally! That’s supposed to be “down time”.